By Keith Cowing on August 31, 2011 11:45 PM. "The 100 Year StarshipTM (100YSSTM) is a project seeded by the Defense Advanced Research Projects Agency (DARPA), with NASA Ames Research Center as executing agent, to develop a viable and sustainable non-governmental organization for persistent, long-term, private-sector investment into the myriad of disciplines needed to make long-distance space travel viable. The goal is to develop an investment vehicle--with the patronage and guidance of entrepreneurs, business leaders, and technology visionaries--which provides the stability for sustained investment over a century-long time horizon, concomitant with the agility to respond to the accelerating pace of technological, social, and other change." By Keith Cowing on August 31, 2011 9:18 PM. "But after initially touting "Apollo 18" as one of its upcoming fiction film collaborations, NASA -- which, for the record, says the last manned mission to the moon was Apollo 17 in 1972 -- has begun to back away from the movie. 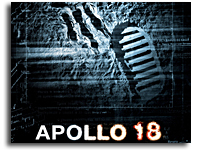 "Apollo 18 is not a documentary," said Bert Ulrich, NASA's liaison for multimedia, film and television collaborations. "The film is a work of fiction, and we always knew that. We were minimally involved with this picture. We never even saw a rough cut. The idea of portraying the Apollo 18 mission as authentic is simply a marketing ploy. Perhaps a bit of a 'Blair Witch Project' strategy to generate hype." "For the viral campaign, the film's official website has a subpage that updates periodically with several documents from before, after, and during the mission. The latest documents are internal memos at NASA that show how they knew something was up." By Keith Cowing on August 31, 2011 6:39 PM. Keith's note: A new report titled "Preparing for the High Frontier: The Role and Training of NASA Astronauts in the Post-Space Shuttle Era" has been completed by the National Research Council. The report examines staffing plans for the U.S. astronaut corps following retirement of the space shuttle and completion of the International Space Station. The report will be released on 7 September 2011 at 11 am EDT. By Keith Cowing on August 31, 2011 1:34 PM. "The Russian Federal Space Agency (Roscosmos) could phase out its program of building orbiting stations permanently inhabited by crews in favor of unmanned stations regularly visited by crews, Roscosmos Deputy Chief Vitaly Davydov told journalists." "A flight to Mars is the strategic goal of Russia's space exploration programs, but the journey to Mars lies through the moon, Nikolai Panichkin, the first deputy director of the Central Research Institute of Machine-Building, told journalists on Wednesday." "The Russian Federal Space Agency Roscosmos said on Wednesday it is considering returning the federal space program to the framework of the state defense order to ensure steady financing and reduce the number of accidents with space launches. "It would be beneficial to return the federal space program and the Glonass program to the framework of the state defense order," said Vitaly Davydov, deputy head of Roscosmos." By Keith Cowing on August 31, 2011 10:50 AM. "Orbital Sciences Corporation (NYSE: ORB), one of the world's leading space technology companies, today announced that it received a Commercial Space Transportation Launch License from the Federal Aviation Administration (FAA) to conduct the Commercial Orbital Transportation Services (COTS) program demonstration mission in early 2012. An expanded license covering the test flight of the company's Taurus(R) II rocket in late 2011 is expected to be granted in the near future." By Keith Cowing on August 31, 2011 12:05 AM. Is There A Habitable Planet Circling HD 85512? "Aims: In this study we assess the habitability of HD85512b, a 3.6M_Earth planet orbiting a K5V star. The radial velocity data and orbital parameters for HD 85512 b have just been published, based on data from the dedicated HARPS-upgrade GTO program. Methods: This paper outlines a simple approach to evaluate habitability of rocky planets from radial velocity (RV) searches by using atmospheric models of rocky planets with H2O/CO2/N2 atmospheres, like Earth. We focus our analysis on HD 85512 b." By Keith Cowing on August 30, 2011 4:22 PM. "The administration's actions go beyond simple mismanagement of the program. They amount to a smear campaign, with convenient leaking of derogatory and misleading information to the press, to undermine public support for the program. On Aug. 5, the Orlando Sentinel cited internal NASA documents detailing a $38 billion estimate for a "new NASA moon rocket." This estimate is entirely out of line with previous projections and good management practice. Even if correct, such documents would normally be extremely sensitive and available only to NASA leadership. Their release offers yet another example of the tiresome Washington game of leaking a highly biased story in order to set the terms for an upcoming debate. Fortunately, Congress understands this, and has submitted a formal subpoena for the factual data." Keith's note: (Gasp) Mike, I'm absolutely shocked that anyone at NASA would ever "leak" anything to the media!! I suppose your staff never leaked anything - ever. You expresss outrage that this has happened - yet a few sentences later you use data from the very same leaked documents with which to make a point. The bias of the selective history you heave forth in your editorial is eclipsed only by your hypocrisy and inconsistency. By Marc Boucher on August 30, 2011 1:00 PM. Continue reading Space Quarterly Magazine First Issue Content. By Keith Cowing on August 30, 2011 12:55 PM. "The phytoplankton bloom pictured in this Envisat image stretches across the Barents Sea off the coast of mainland Europe's most northern point, Cape Nordkinn. The southern area of this deep shelf sea - with an average depth of 230 m - remains mostly ice-free due to the warm North Atlantic Drift. This contributes to its high biological production compared to other oceans of similar latitude." By Keith Cowing on August 30, 2011 12:52 PM. "Southwest Research Institute (SwRI) has been selected to provide payload flight integration services as part of three suborbital flight provider contracts recently announced by NASA to Virgin Galactic, XCOR and Masten Space Systems. These contracts are an important step forward for the NASA Flight Opportunities Program, funded by NASA's Office of the Chief Technologist and managed by NASA's Dryden Flight Research Center in Edwards, Calif., and affirm the need for commercial space access for a range of research and educational applications." By Keith Cowing on August 30, 2011 12:50 PM. "This publication announces the National Aeronautics and Space Administration (NASA), Headquarters, Aeronautics Research Mission Directorate (ARMD) plans to release the Fiscal Year (FY) 2011 version of the NASA Research Announcement (NRA) entitled, "Research Opportunities in Aeronautics (ROA)", NNH11ZEA001N. Under the FY 2011 ROA NRA ARMD will continue solicitation of foundational and systems-level research proposals for four programs within ARMD: the Airspace Systems Program, the Aviation Safety Program, the Fundamental Aeronautics Program, and the Integrated Systems Research Program." By Keith Cowing on August 30, 2011 11:31 AM. "The Progress failure triggered a wave of talk about how far the space program has fallen since legendary Soviet days. But Igor Lisov, an expert with the Novosti Kosmonavtiki magazine, said that despite the setbacks, "it's too early to speak about the degradation" of Russia's space industry. "Every accident has its cause, and they shouldn't be generalized," Lisov said in a telephone interview. Within the industry, spacecraft accidents are considered unavoidable, with one out of every 100 launches expected to fail. But in Russia, the statistics might be augmented due to human factor." "The crash of Progress space freighter is not the first breakdown that has occurred to Russian spacecraft. The previous incident took place in the middle of this August. Express AM4 communication satellite went off radar screens before it reached orbit. The cost of the lost satellite made up 7.5 billion rubles. A Proton booster rocket with three Glonass-M satellites on board crashed into the Pacific Ocean in December 2010. The crash resulted in the loss of 4 billion rubles. Geo-IK-2 global positioning satellite burnt in space in February this year. The breakdown halted the Russian space GPS program. Konstantin Kreidenko, an expert with Glonass Herald magazine, believes that the Russian space industry is outdated." Emptying The Space Station of Humans? By Keith Cowing on August 30, 2011 11:29 AM. "NASA International Space Station Program Manager Mike Suffred says evacuation is a distinct possibility in mid-November if Russian Soyuz rockets are not flying, writes Florida Today's Todd Halvorson. Past NASA risk assessment shows a one in 10 chance of losing the station within six months if there is no crew aboard to handle critical system failures. That soars to a 50% proability if it remains crewless for a year, the newspaper says." "It's not a trivial thing," Suffredini said. "If you look at...risk assessments, some of the numbers are not insignificant. There is a greater risk of losing the ISS when it is unmanned than if it were manned. That's why, when we made our decision after the Columbia accident to keep the station manned, that is exactly why, because the risk increase is not insignificant." By Keith Cowing on August 30, 2011 9:25 AM. "James Hansen, head of NASA's Goddard Institute for Space Studies, was arrested outside the White House as he joined protesters in urging President Barack Obama to reject TransCanada Corp. (TRP)'s $7 billion pipeline. Before he was taken into custody today, Hansen took a megaphone and implored Obama to act "for the sake of your children and grandchildren." "If Obama chooses the dirty needle it will confirm that the president was just green-washing all along," Hansen, 70, who took a vacation day from his job at the New York based institute to participate in the protest, said in an e-mailed statement." Keith's note: James Hansen certainly must have a lot of vacation time to burn on these public stunts. I am certain OSTP loves having a NASA employee shouting back at them across the White House lawn over policy. Oh well, at least Hansen speaks his mind - but the way he does these things using his NASA affiliation tends to leave the impression that he says is what everyone at NASA thinks - and that is not accurate. Obviously he does not care. Oh yes, as I have stated before, while I think Hansen is inappropriately allowing his NASA affiliation to be factored into the public perception of his personal views, I usually agree with Hansen's personal views (but not in this one particular instance). By Keith Cowing on August 29, 2011 11:40 PM. "The trend has alarmed astronomers and others, who are concerned that less-visible projects -- such as robotic Mars missions and various space probes -- will be sacrificed. "So, we have one giant money sponge (JWST) already sucking up dollars with yet another money sponge (SLS) on the drawing board. Since the money simply is not there to do either project to begin with, trying to do both of them together will devour funds from smaller NASA programs," wrote Keith Cowing in a recent post on his influential blog NASA Watch." By Keith Cowing on August 29, 2011 11:23 PM. "The new $8 billion price tag doesn't include operating costs of about $780 million for the far-seeing infrared observatory's first 5 years in space. Under the revised NASA plan, Webb would not only cost 23% more but would launch in the fall of 2018, 2 years later than the date the agency had suggested only months ago. NASA is withholding details of its new cost estimates because the so-called "replan" is under review by the White House Office of Management and Budget (OMB). Those details may not be available until the president submits his 2013 budget request to Congress in February. But leaders in the astronomy community are hoping that the White House will endorse both the higher number and the cost-sharing plan." "What we have advocated is that the scale of the problem and the prominence of James Webb for the agency was such that it should be considered an agency-wide solution," William Smith, president of the Association of Universities for Research in Astronomy, told Space News Friday (Aug. 26)." "Just as importantly, it will once again reinvigorate the American public about science. This cannot be stressed enough. Hubble was also over budget and behind schedule, and the history of getting that eye in the sky is loaded with political games and NASA difficulties that would sound very familiar to those hearing the tales of JWST. Yet Hubble triumphed. Today, people don't even think about the malfunctioning mirror embarrassment that made headlines for weeks; they just see the stunning images and profound scientific insights provided by the telescope. And they want more." By Keith Cowing on August 29, 2011 10:35 PM. "SLS is not a paper rocket," Steve Cook, director of space technology at Dynetics, said Friday at the U.S. Space and Rocket Center. Cook guided the audience through a power point presentation showing work that has already been done over the last six years under different program names. Cook presented slides of boosters, engines, test firings, and core components like batteries and computers for a heavy lift rocket that have been achieved at Marshall Space Flight Center and other NASA centers like Stennis in Mississippi and Michoud in Louisiana. "The physics doesn't change. A lot of work has already been done," he said." By Keith Cowing on August 29, 2011 9:39 AM. "These matching funds from the FAA are crucial for improving our vertical launch capabilities and expanding services for our launch customers," said New Mexico Spaceport Authority (NMSA) Executive Director, Christine Anderson. The roll-back vehicle integration building will be located inside the Vertical Launch Area (VLA) of Spaceport America and will be able to accommodate the larger vehicles that are under development. "Currently, we can only accommodate vehicles up to approximately 24 feet long and five feet wide," said Anderson. "New vehicles under development are much longer, and some have wings for gliding recovery," explained Anderson. "The new roll-back vehicle integration building will let us handle these new vehicles as they come on line." By Keith Cowing on August 29, 2011 9:38 AM. "In addition to its new Board, Space Florida will also have an Industry Advisory Council to aid in its governance. This 15 member advisory council is appointed by the Governor and will be made up of Florida residents with expertise in the space industry. Specifically, the following areas of expertise will be reflected in the members that make up this Council: human space-flight programs, commercial launch, organized labor, other aerospace-related industries, and an alternative energy enterprise with potential for aerospace applications. The advisory council shall elect a member to serve as the chair of the council. This chair will serve ex-officio on the full board of Space Florida." By Keith Cowing on August 28, 2011 10:30 PM. "Recently, you received a letter from several senators urging the Administration to move forward with the Space Launch System (SLS) and approve the program. We agree that it is time for the Administration to commit to the plan for the new heavy lift rocket. Further delays will only incur additional costs and the continued loss of critical skills that cannot be replaced. The letter also, however, called into question funds being spent for facility upgrades and support capabilities at the Kennedy Space Center (KSC) and there appears to be a misunderstanding regarding allocation of funds dedicated to development of the SLS as authorized by P.L. 111- 267. In as much as concerns about this issue may have been brought to your attention, we are writing to clarify the intent of the law." By Keith Cowing on August 27, 2011 9:02 PM. "I suspect that if we get close to Nov. 16 and we haven't flown a Soyuz yet, and by then we will have stepped down to three crew, we'll probably de-man the ISS and go to unmanned operations," Suffredini said. Russia is expected to present a recovery plan this week outlining tentative dates for launching the Soyuz rocket again. One scenario under consideration would see at least two Soyuz rockets with the RD-0110 third stage fly before the next manned launch." By Keith Cowing on August 26, 2011 9:41 PM. "Panelists were less positive on when NASA will get the green light to build the rocket. Views ranged from "we're getting closer" to "it's a brutal time for budgets and it's not going to get any easier" to a flat prediction that it won't come until the Obama administration goes. That assessment came from former NASA administrator Mike Griffin, a steady critic of the White House that replaced him as NASA chief and killed the rocket program Griffin was leading. Called Constellation, that program included two bigger rockets, one after the other, ending with a heavy-lift rocket like Congress still wants." By Keith Cowing on August 26, 2011 8:55 PM. "NASA / NOAA GOES-13 satellite image showing earth on August 26, 2011 at 14:45 UTC (10:45 a.m. EDT). Hurricane Irene can been seen on the U.S. East Coast. Irene Almost 1/3 the Size of East Coast. Irene has become a major hurricane, and NASA satellite data shows its diameter is now about 510 miles -- roughly 1/3 the length of the U.S. Atlantic coastline. Hurricane watches are in effect for much of the East Coast." By Keith Cowing on August 26, 2011 3:23 PM. "NigeriaSat-X was built by engineers from Nigeria's National Space Research and Development Agency (NASRDA) under the supervision of Surrey Satellite Technology Ltd (SSTL). The new generation of Nigerian scientists and engineers trained up under the NigeriaSat-X project will continue to support Nigeria's space programme, ensuring its continued success and sustainability. In total, 26 Nigerian engineers were located at SSTL's facilities in Guildford for 18 months throughout the design and test phases." By Keith Cowing on August 26, 2011 1:37 PM. "If you're like me, you probably watched the final landing of the Space Shuttle Atlantis last month with a strong sense of nostalgia for an astounding era in American space travel. The good news is that the Federal Aviation Administration has been working hard to usher in a new era for U.S. space transportation. Today, I'm excited to announce that the FAA is awarding grants to projects at three spaceports. With matching support, these projects will develop and expand our nation's commercial space transportation infrastructure. These grants will go a long way toward meeting President Obama's National Space Policy and its greater emphasis on using the commercial space industry to meet our current and future space transportation needs." By Keith Cowing on August 26, 2011 9:04 AM. "It's very important that we help bring about the next generation of aircraft and air traffic control systems. Aviation is a huge sector of the economy, not only in terms of jobs, but also in transporting goods and people. It consistently contributes in a positive way to the nation's balance of trade and is a symbol of our technical capability. In 2010, aerospace manufacturing provided a U.S. trade surplus of $43.6 billion. In this time of continuing economic challenges, the aeronautics industry provides the kinds of jobs that Americans are proud to have -- a report from 2009 identified nearly one million air transportation and domestic manufacturing jobs and this is integral to our entire way of life." By Keith Cowing on August 25, 2011 7:13 PM. "On June 14, Administrator Charles Bolden selected and sent to the White House for confirmation his final choice for the SLS reference design. He essentially kept the January plan, but with a new wrinkle--a competition for a liquid-fueled strap-on that would make the SLS "evolvable" to meet the congressional requirement of an at least 130-metric-ton (286,600-lb.) lifting capability. One likely competitor for the five-segment solid would be a booster powered by a kerosene-fueled engine to be developed by Aerojet in Sacramento, Calif., and manufactured by Teledyne Brown Engineering in Huntsville, Ala. Plans already call for SLS development to be managed at Marshall Space Flight Center near Huntsville, which has experienced deep contractor layoffs with the end of the shuttle and follow-on Constellation programs. Aerojet and Teledyne Brown said in announcing their new kerosene-engine joint venture on June 3 that it could create as many as 1,400 new jobs in Alabama and California." Photos: ISS Flyover of Irene: "This is a Huge Scary Storm"
By Keith Cowing on August 25, 2011 4:18 PM. This afternoon, starting at approximately 3:45 pm EDT, the International Space Station flew over Hurricane Irene. The flyover lasted approximately 6 minutes. At one point a member of the crew reacted to the sheer size of this storm by saying "We are used to travelling long distances - but this storm stretches from Cuba to Carolinas -- this is a huge scary storm". The flyover was shown live on NASA TV. Below are screen grabs made during the flyover taken from different cameras aboard the ISS. By Keith Cowing on August 25, 2011 2:53 PM. "NASA/GSFC has a requirement for messaging displays to posted in Chicago during the months of November and December, in support of the Know Your Earth 2.0, Chicago (KYE II) project. These include city wallscapes, shopping mall kiosk displays, rail transit posters, and airport dioramas. NASA/GSFC intends to purchase the items from Clear Channel Outdoor pursuant to FAR 13.106, for the acquisition of supplies or services determined to be reasonably available from only one source. The KYE II project is a joint venture between NASA's Earth-Observing missions and Clear Channel Outdoor. Each NASA Earth-Observing Mission involved has written the KYE project into their Education/Public Outreach Implementation Plans." Keith's note: I have lost count how many times people at NASA have told me that they cannot self-promote, advertise, lobby, or otherwise try to use standard marketing tools to inform the public of the things that they do. They always cite dire Congressional prohibitions against such activities. Then they go off and totally violate these prohibitions with advertising procurements such as this one. I am not certain that they actually know what it is they are allowed or not allowed to do and just throw this answer out when they do not want to do something. By Keith Cowing on August 25, 2011 12:34 PM. Keith's 24 Aug note: According to a FAA NOTAM (Notice To Airmen): "FDC 1/3552 ZAB TX.. TEMPORARY FLIGHT RESTRICTIONS VAN HORN, TX. EFFECTIVE 1108241200 UTC UNTIL 1108241700 UTC. PURSUANT TO 14 CFR SECTION 91.143 TEMPORARY FLIGHT RESTRICTIONS ARE IN EFFECT DUE TO ROCKET LAUNCH ACTIVITY WITHIN A 17 NM RADIUS OF 312706N/1044546W OR THE SALT FLAT /SFL/ VORTAC 125 DEGREE RADIAL AT 24.3 NAUTICAL MILES SFC TO 18000 MSL. BLUE ORIGIN LLC, TELEPHONE 253-347-2821, IS IN CHARGE OF THE OPERATION. ALBUQUERQUE /ZAB/ ARTCC, 505-856-4500, IS THE FAA COORDINATION FACILITY." Keith's 25 Aug update: Well, nothing was apparently launched - and if you go to the FAA NOTAM webpage the request from Blue Origin has mysteriously disappeared. By Keith Cowing on August 25, 2011 11:01 AM. "The Administrator's decision, while greeted with excitement at the chosen locations, was not well received in some quarters, particularly by members of Congress and others who supported Space Center Houston in Houston, Texas, and the National Museum of the U.S. Air Force (Air Force Museum) in Dayton, Ohio. Members of these groups raised concerns that in making its selections NASA failed to follow the law or allowed politics to dictate the result. The Office of Inspector General (OIG) review examined these complaints and a variety of other issues related to placement of the Orbiters." "Local officials and Congressmen insist the decision was politically motivated and accuse President Barack Obama's administration of excluding the Texas city because of the state's Republican leanings. They pointed to an initial finding in 2009 that determined Houston should get a shuttle. They accused NASA administrator Charles Bolden of deliberately changing the criteria to focus on areas that would attract international tourists rather than those with ties to the program so that he could exclude Houston. "It's clear to me this was rigged from the beginning and it was pretty clear Houston would not receive the Orbiter," GOP Congressman Kevin Brady told The Associated Press." By Keith Cowing on August 24, 2011 11:52 PM. "The Assessment conducted by Booz Allen Hamilton makes clear that the cost projections provided by NASA for review are reasonable point estimates for budget planning in the near-term 3-5 year budget horizon. In other words, there is no cost-estimate-related basis for continuing to delay the commitment to proceed with the SLS development plans that were required by the Congress to have been delivered in the Section 309 Report that was due on January 10th. 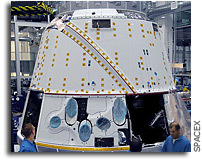 While some have highlighted that the assessment characterizes some of the cost estimates provided by NASA as "optimistic", the report findings underscore that the lack of such a vehicle "architecture" decision, and commitment to proceed with program development, is the primary reason that some of the materials provided to Booz Allen Hamilton for review were incomplete." Keith's note: Either Sen. Hutchison and her staff have problems with the English language or they are deliberately parsing/misrepresenting what the cost report (one with no actual costs included) actually said with regard to NASA's SLS cost estimates. Such deliberate and blatant misrepresentations are deceptive and not in the public interest. In addition, she openly admits that NASA did not provide everything that Booz Allen Hamilton needed, but that's apparently OK with her so long as they gave her enough words like "reasonable" etc. to selectively quote to push her political position. This is crappy policy making in action. "None of the estimates reviewed by the ICA Team support establishment of long-term budgets or detailed baselines consistent with NPR 7120.5 requirements. They are, however, reasonable AoA estimates appropriate for supporting trade studies and comparative analyses. All three Program estimates assume large, unsubstantiated, future cost efficiencies leading to the impression that they are optimistic. A scenario-based risk assessment, which excludes cost estimating uncertainty and unknown-unknown risks (historically major sources of cost and schedule growth), reveals all three Programs' reserves are insufficient." By Keith Cowing on August 24, 2011 11:09 PM. "I am calling on General Bolden, the NASA Administrator, to propose an emergency transfer of funding from unobligated balances in other programs, including the Space Launch System, to NASA's commercial crew initiative. Funding should be used to speed up the efforts of the four current industry partners to develop their systems and potentially expand the recent awards to include the best applicants for launch vehicle development. NASA could potentially transfer several hundred million dollars from this long term development concept, since the SLS project has not even started, to the more urgently needed systems that can launch astronauts to ISS, reliably and affordably. This transfer will boost the development of American controlled technology and greatly reduce our dependence on the Russians." By Keith Cowing on August 24, 2011 8:43 PM. "A major move at the Stennis Space Center is paving the way for jobs and expansion on the Mississippi Gulf Coast. Officials said NASA and Stennis are officially taking over the 1.6 million square feet former Mississippi Army ammunition plant, which will become available for new government and commercial ventures that support the NASA mission. "Appropriate investment in the rocket testing infrastructure here at Stennis becomes more important than ever," Sen. Thad Cochran said." "After its announcement about plans for outer space with Aerojet, Teledyne Brown is branching out to "marine space." The Huntsville-based company has been awarded a contract valued at $383 million for a replacement craft to transport Special Operations Forces on their missions. The work is projected to add about 50 jobs here. The contract from the United States Special Operations Command (USSOCOM) is to design, develop, test, manufacture and sustain the Shallow Water Combat Submersible (SWCS)." By Keith Cowing on August 24, 2011 2:04 PM. "This panoramic view of recently-formed Hurricane Irene was acquired by the crew of the International Space Station early Monday afternoon from a point over the coastal waters of Venezuela. At the time Irene was packing winds of 80mph and was just north of the Mona Passage between Hispaniola and Puerto Rico. Although no eye was visible at this time, the storm was strengthening and exhibited the size and structure of a classic "Cape Verde" hurricane as it tracked west-northwestward towards the southern Bahamas." By Keith Cowing on August 24, 2011 12:16 PM. "Russian space agency Roskosmos said the Progress M-12M space freighter failed to reach the designated orbit on Wednesday due to a rocket engine failure. A source in the Russian space industry earlier said the spacecraft had sent a breakdown report while separating from the Soyuz-U carrier rocket on Wednesday. The Mission Control was unable to receive any telemetry data from the spacecraft so far." "Separation of the Progress 44P was expected at 9:09 a.m. EDT (1309 GMT) to start its two-day automated chase to rendezvous with the station for docking Friday. Instead, the malfunction sent the rocket falling back to Earth. The Interfax news agency reported the spacecraft re-entered the atmosphere over eastern Russia. All 43 previous Progress flights for the International Space Station over the past 11 years had occurred successfully." "But the state news agency RIA Novosti quoted Alexander Borisov, head of a the Choisky region in Russia's Altai province, as saying pieces of the craft fell in his area some 1,500 kilometres northeast of the launch site. "The explosion was so strong that for 100 kilometres glass almost flew out of the windows," he was quoted as saying." "Mission Control Moscow reported that communication with the Progress 44 cargo craft was lost 5 minutes, 20 seconds after its launch at 9 a.m. EDT today. Preliminary data from the Russian Federal Space Agency indicate there was a problem with the propulsion system, and that the vehicle did not reach its desired orbit." "The scheduled launches of the [Soyuz] rockets are likely to be suspended because of the space freighter accident... until the reasons [of the accident] are established," the source said. This means that members of the International Space Station's crew are likely to stay at the station longer than planned and that the new crew will not be able to replace them on schedule, he said." "It's interesting to note that the launch comes about one month after the Russian space agency, Roskosmos, issued the following triumphant statement: "From today, the era of the Soyuz has started in manned space flight, the era of reliability." Keith's note: ISS Program Manager Mike Suffredini will hold a press briefing on NASA TV at noon EDT to discuss the Progress mission failure. One would assume that this will affect Soyuz crew flights due to the commonality in launch systems. Suffredini: Shortly after third stage ignition the spacecraft shut the engine down. The third stage and Progress subsequently crashed. Soyuz-FG (crew) and Soyuz-U (cargo) have similar third stage designs so this will have impact on the planned 22 September crew launch. We can go several months without a resupply vehicle if that becomes necessary. We have a 40-50 days of contingency beyond normal crew stay time. Eventually the Soyuz vehicle on orbit will 'time out' and have to come home. If the anomaly is solved the Progress flight in October could fly sooner. By Keith Cowing on August 23, 2011 9:55 PM. Keith's note: The House wants to cancel James Webb Space Telescope (JWST) outright. We haven't heard anything specific from the Senate - yet. Every time NASA mentions a cost for JWST it is higher than the previous cost. Now NASA wants to take human spaceflight funds to help pay for JWST which means less money available to build the Space Launch System (SLS). NASA's internal SLS report casts significant doubt on NASA's internal budget numbers and cost projections - which almost always means that NASA will need more money than it thinks it will need in order to build the SLS. But NASA does not really want to build the SLS (nor does the White House) since it is simply a re-imagined variant of Ares V - a rocket that NASA already halted. The Senate is forcing the SLS down NASA's throat. Yet Congress has given no indication what level of funding it will guarantee for NASA so as to build and fly the SLS and has given no hint whatsoever of funding for the payloads that such a hugh rocket will be designed to carry. And, oh yes, OMB is telling agencies to come up with budgets for FY 2013 that include cuts of up to 10%. So, we have one giant money sponge (JWST) already sucking up dollars with yet another money sponge (SLS) on the drawing board. Since the money simply is not there to do either project to begin with, trying to do both of them together will devour funds from smaller NASA programs. It will also pit these money sponges' ever-growing chronic need for dollars against the other's similar insatiable appetite. And all of this will happen while the Federal budget is almost certainly going to be constrained - regardless of who wins the 2012 election. So, will someone explain to me how NASA is going to build and launch both JWST and SLS and have money left over to do all of the other things that it is both chartered to do - and directed to do - by Congress? By Keith Cowing on August 23, 2011 6:46 PM. Keith's note: 45 Years ago today, on 23 August 1966, Lunar Orbiter 1 snapped the first photo of Earth as seen from lunar orbit. While a remarkable image at the time, the full resolution of the image was never retrieved from the data stored from the mission. In 2008, this earthrise image was restored by the Lunar Orbiter Image Recovery Project at NASA Ames Research Center. We obtained the original data tapes from the mission (the last surviving set) and restored original FR-900 tape drives to operational condition using both 60s era parts and modern electronics. The following links provide background on the image, its restoration, and reactions to its release. By Keith Cowing on August 23, 2011 12:43 PM. "The James Webb Space Telescope (JWST) is perilously overbudget and under threat of cancellation, but Nature has learned that it may be offered a financial lifeline. The flagship observatory is currently funded entirely through NASA's science division; now NASA is requesting that more than US$1 billion in extra costs be shared 50:50 with the rest of the agency. The request reflects administrator Charles Bolden's view, expressed earlier this month, that the telescope is a priority not only for the science programme, but for the entire agency. NASA expects that the total cost of getting the 6.5-metre telescope to the launch pad by 2018 will be about $8 billion, around $1.5 billion more and three years later than an independent panel predicted in November 2010." By Keith Cowing on August 23, 2011 11:49 AM. "In general, the estimates prepared by SLS, MPCV, and 21CGS are consistent with Analysis of Alternative (AoA) level estimates and are reasonable point estimates for budget planning in the near-term 3-5 year budget horizon. They are serviceable in that they represent the basis to build upon for future life-cycle cost estimates of the quality required for long-term budget formulation and the development of program baselines. None of the estimates reviewed by the ICA Team support establishment of long-term budgets or detailed baselines consistent with NPR 7120.5 requirements. They are, however, reasonable AoA estimates appropriate for supporting trade studies and comparative analyses. All three Program estimates assume large, unsubstantiated, future cost efficiencies leading to the impression that they are optimistic. A scenario-based risk assessment, which excludes cost estimating uncertainty and unknown-unknown risks (historically major sources of cost and schedule growth), reveals all three Programs' reserves are insufficient." By Keith Cowing on August 23, 2011 7:05 AM. "To date some of the images taken by Nimbus II have been enhanced and mapped into Google Earth. One date in particular was of interest to the LOIRP - 23 August 1966. As the images were enhanced and dropped into Google Earth it became clear that we have imagery that overlapped in time to show the weather on that late August day as evening crept up on Africa and Europe. In New York City, just at the Earth's limb as seen from lunar orbit, the Beatles were preparing to play at Shea Stadium ..."
By Keith Cowing on August 22, 2011 11:15 PM. "Our small group of 20 developers have won a contest held for the best idea for an official massively multi-player online game depicting the future, and signed a "Space Act Agreement" with NASA, who chose our pitch over all others, the start of a project conceived of at NASA Learning Technologies. Can you believe it? Not only can we pick up the phone and call a NASA scientist to talk about our spaceship and exploration ideas, but we're being encouraged to be creative! It's a once-in-a-lifetime project for all of us: the kind of work you can only dream of as a game developer (and player)." By Keith Cowing on August 22, 2011 7:02 PM. "Under attack for leaving whistleblowers out to dry, NASA has tentatively signaled that it's open to changing its policies. "We believe that strongly enforcing existing protections is not something to be embarrassed about," said NASA spokesperson Bob Jacobs. "That said, if NASA's science community wants to consider the pros and cons of advancing additional protections, we would not discourage such a process." Though Jacobs' words are restrained, they represent a change in NASA's position towards criticisms raised after their new science integrity plan was publicized by Public Employees for Environmental Responsibility, a government watchdog group." "NASA (the National Aeronautics and Space Administration) has decided that it does not need new scientific integrity rules despite a White House directive to all agencies. How the White House handles this NASA stance may foretell whether its vaunted scientific integrity effort will collapse as other agencies declare their current policies to be sufficient, according to Public Employees for Environmental Responsibility (PEER)." "The present document responds to the May 5, 2011, request. As NASA demonstrated in its April 2011 report to OSTP, NASA already has a variety of policies in place to ensure scientific and engineering integrity. The intent of the present document is thus to highlight how NASA's existing policies support scientific and engineering integrity as well as to note the actions NASA plans to take to strengthen its policies in this area. References and website links to existing policy documents are furnished where applicable; NASA directs the reader to these references for a full description of the Agency's commitment to scientific and engineering integrity. The present document is organized to respond to the four major areas and 17 sub-areas addressing scientific and engineering integrity that are explicitly addressed in Dr. Holdren's December 17, 2010, memorandum." By Keith Cowing on August 22, 2011 4:10 PM. "1. The recruitment process for new FAC members should be as transparent as possible. * NPD 1150.11 stipulates that NASA will rely on nominations from within the Agency followed by a thorough vetting of the nominee for expertise, experience, and conflicts of interest. The nomination process for members of one of NASA's five FACs, the National Space-Based Positioning, Navigation, and Timing Advisory Board, is coordinated among the nine Federal stakeholder agencies. All members of NASA FACs are appointed by the NASA Administrator. * NASA anticipates revising NPD 1150.11 by October 31, 2011, to stipulate that the Agency will announce NASA FAC vacancies widely, including notice in the Federal Register with an invitation to the public to recommend individuals for consideration and also to submit self-nominations." "SUMMARY: In accordance with the Federal Advisory Committee Act, Public Law 92-463, as amended, the National Aeronautics and Space Administration, and in accordance with the Memorandum for the Heads of Executive Departments and Agencies signed on December 17, 2010, signed by the Director of the Office of Science and Technology Policy (OSTP), Executive Office of the President, NASA announces an invitation for the public to nominate individuals and also submit self-nominations for consideration as potential members of NASA's Federal advisory committees. NASA's Federal advisory committees have member vacancies from time to time throughout the year, and NASA will consider nominations and self-nominations to fill such intermittent vacancies. NASA is committed to selecting members to serve on its Federal advisory committees based on their expertise, knowledge, and contribution to the relevant subject area." By Keith Cowing on August 22, 2011 4:09 PM. "4. Agencies should make publicly available all Conflict of Interest waivers granted to committee members. * NASA practice is to grant such waivers rarely. * NASA anticipates revising NPD 1150.11 by October 31, 2011, to stipulate that the Agency will make publicly available the names of all committee members receiving Conflict of Interest waivers." "NASA Centers conducted a search for Agency records using the above listing as search criteria and located 30 records responsive to your request. Ofthese records, 23 are released in full, and seven records are being denied in part. One record contains information withheld under 5 U.S.C. 552 (b)(5) as the information pertains to inter-agency or intra-agency memorandums or letters which would not be available by law to a party other than an agency in litigation with the agency. Six records are being withheld in part pursuant to 5 U.S.C. 552 (b)(6). This information was not required for public release under Office of Government Ethics requirements for financial disclosure and, ifreleased, would constitute a clearly unwarranted invasion ofpersonal privacy. Under 14 CFR 1206.605,"
By Keith Cowing on August 22, 2011 3:10 PM. "NASA has selected three proposals as Technology Demonstration Missions to transform space communications, deep space navigation and in-space propulsion capabilities. The projects will develop and fly a space solar sail, deep space atomic clock, and space-based optical communications system." "Investments in research and technology are required to enable flight of NASA's future missions. These same missions drive and sharpen NASA's research and technology investment portfolio." By Keith Cowing on August 22, 2011 1:50 PM. "Managers at NASA replanning the James Webb Space Telescope program after an independent cost analysis found it over budget and behind schedule have concluded it will cost about $8.7 billion to finish the telescope in time for a launch in 2018 and operate it at the Earth-Sun L2 Lagrange point for five years. An agency spokesman said Monday the revised figure -- an increase of $3.6 billion over NASA's most recent life-cycle-cost estimate for the big infrared space observatory -- includes all development, launch operations and science costs." By Keith Cowing on August 22, 2011 1:44 PM. "An independent analysis by Booz Allen Hamilton of NASA's plans to develop the heavy-lift Space Launch System (SLS) raises questions about the cost assumptions the agency is using in its own estimates of what it will cost to build the big new rocket. "Due to unjustified, sometimes substantial future cost savings, the team views each program estimate as optimistic," Booz Allen evaluators tell NASA managers in a preliminary presentation of their findings. The final report, and cost estimates, were expected on Capitol Hill Aug. 19. But NASA said it probably wouldn't be ready until early the following week." By Keith Cowing on August 22, 2011 12:50 PM. "In an effort to educate and encourage math and science education Tor/Forge Books, an imprint of Tom Doherty Associates, LLC, and NASA have embarked on a collaboration to publish a series of science based, commercial fiction books, referred to as "NASA inspired Works of Fiction" around concepts pertinent to the current and future work of NASA. NASA will allow existing and new Tor/Forge authors to team up with NASA Goddard Space Flight Center's (GSFC) Subject Matter Experts (SME) to create scientifically accurate and entertaining novels in a distinctly unique way." By Keith Cowing on August 22, 2011 12:27 PM. "Ongoing and emerging security threats, aging civil and space infrastructure, fiscal challenges and keeping and creating jobs all present our nation with enormous challenges. This year's National Aerospace Week, an event established by Congress, will focus on informing the debate over choices our government will make in the coming months. The aerospace and defense industry is the lifeblood of America's industrial base, employing approximately 800,000 workers directly, and supporting more than 2 million middle-class jobs in related fields. More than 30,000 suppliers in the industry provide high-skill, high-paying jobs in all 50 states." By Keith Cowing on August 22, 2011 12:00 PM. Keith's note:If you visit the website of author Charles Justiz you will see that a photo of an astronaut holding his latest book on the International Space Station is featured. As I mentioned last March, when this first appeared online, I was not aware that authors could get NASA astronauts to do on-orbit promotion and commercial "product placement" on the ISS unless there was a clear EPO tie-in, Space Act Agreement, etc. The webpage that originally featured this product endorsement was eventually pulled offline after I took note. But now the product placement photo is back. I guess the rules have changed. By Keith Cowing on August 22, 2011 9:12 AM. Keith's note: @AstroRobonaut is tweeting about today's activation activities aboard the International Space Station. Track his tweets as he starts to be come part of the ISS crew. Keith's update: Photo: Robonaut's View This Morning From Inside the International Space Station @AstroRobonaut "This is what I see right now. Sure wish I could move my head and look around." Why Can't Everyone Get A Chance To Name Things on Mars? By Keith Cowing on August 21, 2011 9:33 PM. "Opportunity had arrived at the western rim of 13-mile-diameter (21-kilometer-diameter) Endeavour crater four days earlier. A portion of the northeastern rim of Endeavour forms the distant horizon in this view. A crater about 66 feet (20 meters) in diameter is on the Endeavour rim near Opportunity's arrival point. From a position south of Odyssey, this view is dominated by a rock informally named "Ridout" on the northeastern rim of Odyssey. The rock is roughly the same size as the rover, which is 4.9 feet (1.5 meters) long." Keith's note: It has been a long tradition among planetary scientists to name prominent features that their missions discover - if for no other reason than to make navigation easier. According to Mars rover principal investigator Steve Squyres: "None of these names are 'official' in any sense. Selecting the official names of features like craters on other planets is the purview of the International Astronomical Union. None of our names -- including the names of the craters -- are official IAU names. They are simply names that we have chosen out of necessity for use within the team during the mission. Unless you have some names to use for the things you're looking at and driving by, things get pretty confusing." Why shouldn't these names be "official"? People have been naming places on Earth since people started to speak. Terrestrial exploration has a rich tradition of allowing the discoverers to name the things that they discover. There are lots of things that appear in these pictures that have yet to be named. Why can't everyone have a shot at naming things - including the taxpayers who paid for the missions? Why should naming things on other worlds be the "purview" of an elite group like the IAU - one that answers only to itself? By Keith Cowing on August 21, 2011 11:05 AM. "As NASA's new heavy-lift rocket struggles to get off the drawing board, a national space analyst says the answer to moving into deep space may be bringing back Ares I, the rocket NASA just canceled. Dr. Scott Pace, director of the Space Policy Institute at George Washington University, raised the Ares option last week as one way out of political and financial thicket that has enmeshed the Space Launch System (SLS), which is the formal name for the heavy-lift rocket project." By Keith Cowing on August 19, 2011 3:03 PM. "Today NASA is scheduled to formally receive the independent cost assessment for the Space Launch System (SLS) that was requested by the Office of Management and Budget (OMB). I expect this independent assessment will confirm what myself and the NASA technical staff have known for many months - that the SLS plan is financially and technically sound, and that NASA should move forward immediately. "I remain very concerned about continuing delays. The 2010 NASA Authorization Act required NASA to bring forward a plan by January 10, 2011. The political leadership at NASA and at OMB has dragged their feet on implementation. After many requests for NASA to comply with the law, the Commerce Committee finally initiated a formal investigation earlier this summer. While that investigation is ongoing, I reiterate my call to NASA and the Administration to proceed with its SLS development program immediately, in compliance with the law.st Assessment to NASA which confirms that NASA can move forward with implementation of SLS." 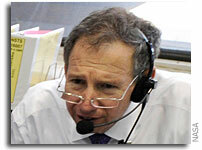 Keith's note: My question for Sen. Hutchison (and Nelson, Rockefeller etc. ): regardless of what this NASA/OMB cost analysis for the SLS says, will you guarantee that the funding will be there to make it happen - all the way to launch? And what about the money to pay for the payloads that will be launched on these giant rockets - will you make a public pledge - now - to support full funding for them too? Of course you won't. None of you will. By Keith Cowing on August 19, 2011 11:01 AM. - Help Publish the Space Art Book "The Beauty of Space"
By Keith Cowing on August 19, 2011 10:50 AM. "The Obama administration is directing federal agencies to submit fiscal 2013 budget requests that are at least 10 percent below their current appropriation level." "In light of the tight limits on discretionary spending starting in 2012, your 2013 budget submission to OMB should provide options to support the President's commitment to cut waste and reorder priorities to achieve deficit reduction while investing in those areas critical to job creation and economic growth. Unless your agency has been given explicit direction otherwise by OMB, your overall agency request for 2013 should be at least 5 percent below your 2011 enacted discretionary appropriation. As discussed at the recent Cabinet meetings, your 2013 budget submission should also identify additional discretionary funding reductions that would bring your request to a level that is at least 10 percent below your 2011 enacted discretionary appropriation." By Keith Cowing on August 19, 2011 8:34 AM. "In accordance with the Federal Advisory Committee Act, Public Law 92-463, as amended, the National Aeronautics and Space Administration, and in accordance with the Memorandum for the Heads of Executive Departments and Agencies signed on December 17, 2010, signed by the Director of the Office of Science and Technology Policy (OSTP), Executive Office of the President, NASA announces an invitation for the public to nominate individuals and also submit self-nominations for consideration as potential members of NASA's Federal advisory committees. NASA's Federal advisory committees have member vacancies from time to time throughout the year, and NASA will consider nominations and self-nominations to fill such intermittent vacancies. NASA is committed to selecting members to serve on its Federal advisory committees based on their expertise, knowledge, and contribution to the relevant subject area." By Keith Cowing on August 19, 2011 8:29 AM. "Watching from afar, extraterrestrial beings might view changes in Earth's atmosphere as symptomatic of a civilisation growing out of control - and take drastic action to keep us from becoming a more serious threat, the researchers explain. This highly speculative scenario is one of several described by scientists at Nasa and Pennsylvania State University that, while considered unlikely, they say could play out were humans and alien life to make contact at some point in the future. Shawn Domagal-Goldman of Nasa's Planetary Science Division and his colleagues compiled a list of plausible outcomes that could unfold in the aftermath of a close encounter, to help humanity "prepare for actual contact". Keith's 18 Aug 10 pm EDT note: (Sigh) This article is prominently featured on the Drudge Report with the title of "NASA REPORT: Aliens may destroy humanity to protect other civilizations...". This is not a "NASA report". Nor does the Guardian article accurately describe the paper's content and conclusions. Alas, NASA will probably just allow this latest misperception/mischaracterization to linger (along with all the other urban myths, faulty analyses, etc) with no response - at least none until it is too late to really make any difference. Oh yes, Drudge Report got 32,697,733 visits in the past 24 hours. "But I do admit to making a horrible mistake. It was an honest one, and anaiveone... but it was a mistake nonetheless. I should not have listed my affiliation as "NASA Headquarters." I did so because that is my current academic affiliation. But when I did so I did not realize the full implications that has. I'm deeply sorry for that, but it was a mistake born our of carelessness and inexperience and nothing more. I will do what I can to rectify this, including distributing this post to the Guardian, Drudge, and NASA Watch. Please help me spread this post to the other places you may see the article inaccurately attributed to NASA." Alas, the inevitable evil ET feeding frenzy via "NASA report" misinformation is now spreading - CNET, International Business Times, the Spokane Examiner, Daily Mail, and even Discovery News simply repeat the very same mistakes that the Guardian made (with the Guardian as their source) in their original article with out doing any fact checking themselves. This is NOT a NASA report, folks. Did anyone actually contact the authors? Keith's 19 Aug 8:29 am EDT update: The Guardian has quietly (without admitting any error on its part) modified its article to read "warns a report." By Keith Cowing on August 17, 2011 4:59 PM. "Russia holds a monopoly on flights to and from the 16-nation station. Soyuz launches from its Baikonur cosmodrome are now the only way to space since the United States retired its 30-year shuttle programme in July. NASA pays it more than $50 million per flight to send its astronauts to the space outpost. Roskosmos chief Vladimir Popovkin said Russia was spending almost half of its space budget on manned flights and needed to shift focus to more technology-oriented projects. He added however it would stand by its station commitments." By Keith Cowing on August 17, 2011 1:08 PM. By Keith Cowing on August 17, 2011 12:53 PM. "Four members of the joint STS-135/Expedition 28 crews are able to spend part of their last shared time onboard the International Space Station performing floating exercises that can't be done in Earth's gravity. Inside the Harmony Node 2 module, are NASA astronauts Mike Fossum (top), Expedition 28 flight engineer, and Doug Hurley, STS-135 pilot; and Ron Garan, Expedition 28 flight engineer. The crew member at bottom is partially obscured and is unidentified." Keith's note: What's that - you don't know what "planking" is? By Keith Cowing on August 17, 2011 11:43 AM. "The 2011 results show that even as countries collaborate in space, competition has intensified. Dominant actors are losing ground to a rising middle tier of space players, and the competitive gaps separating all nations are narrowing. Futron's Space Competitiveness Index (SCI), an independent study, compares 10 leading space-participant nations across more than 50 individual metrics that together reflect three overarching competitiveness drivers: government, human capital, and industry. By evaluating these metrics, the Index numerically benchmarks the relative space competitiveness position of each nation." By Keith Cowing on August 17, 2011 10:24 AM. "The senators believe money is being diverted from heavy-lift to other NASA spending priorities and that the White House "has no intention" of following the law on spending. OMB spokeswoman Meg Reilly issued the following statement today: "Space exploration remains a commitment of this Administration, but as we take a critical eye to every aspect of the Federal budget, we must ensure that every dollar spent in this area is used effectively and efficiently. We are working with NASA now to better understand the costs of this approach to ensure that a final plan is practicable and sustainable over the long term. At a time when we're working to find savings across the Federal government, it would be reckless to make a final determination before the results of NASA's independent cost assessment are in. This is the best approach for American taxpayers and the future of America's space exploration." By Keith Cowing on August 17, 2011 9:55 AM. "Test Out the Latest Gizmos at the NASA JPL Petting Zoo: Exhibition Hall Highlights: Bureau of Land Management and NASA Innovation Nation: August 23 - D.C. Convention Center Register now: Complimentary to government, industry rates apply. Take a break at the Innovation Nation Forum to stop by the exhibit hall and check out the Bureau of Land Management and NASA JPL booths. NASA will have its technology petting zoo on display for attendees to test out emerging information technologies. For a complete list of our sponsors and exhibitors, please visit www.meritalk.com/innovation-nation." Keith's note: But taxpayers have to pay $150 to pet NASA's stuff - stuff they already paid for. Yet government employeees get in for free. Taxpayers pay for them too (salaries). I think NASA and the organizers of this event have this whole thing arranged backward. By Keith Cowing on August 17, 2011 8:47 AM. "Often, comets are portrayed as harbingers of gloom and doom in movies and on television, but most pose no threat to Earth. Comet Elenin, the latest comet to visit our inner solar system, is no exception. Elenin will pass about 22 million miles (35 million kilometers) from Earth during its closest approach on Oct. 16, 2011." Keith's note: But if you visit buzzroom.nasa.gov you will see that NASA allows people to openly engage in conspiracy mongering on a nasa.gov page - including claims that the agency has been covering up the real story behind comet Elenin. Go figure. By Keith Cowing on August 16, 2011 9:25 PM. By Keith Cowing on August 16, 2011 9:12 PM. - Accessible information helps industry participants assess opportunities, plan and coordinate activities, seek funding, and budget"
By Keith Cowing on August 16, 2011 7:06 PM. "Terrence W. Wilcutt has been appointed NASA's chief of safety and mission assurance, effective Sept. 1. Wilcutt is a retired Marine colonel and veteran astronaut who is serving as director of safety and mission assurance at NASA's Johnson Space Center in Houston. He will assume the post from Bryan O'Connor, who will retire from the agency on Aug. 31. NASA Administrator Charles Bolden announced the appointment Tuesday." By Keith Cowing on August 16, 2011 3:49 PM. "Doug Cooke, who worked for nearly 38 years in NASA's space shuttle, International Space Station and exploration systems programs, will retire from the agency effective Oct. 3. Cooke most recently served as NASA's associate administrator for the Exploration Systems Mission Directorate (ESMD), which is responsible for developing capabilities for sending humans deeper into space. Before retiring, Cooke will serve as deputy associate administrator for the agency's new Human Exploration and Operations Mission Directorate." By Keith Cowing on August 16, 2011 12:16 PM. Keith's note: Facebook's CIO Tim Campos is the opening speaker today at the IT Summit. Alas, NASA blocks access to Facebook (and Google+ etc.) NASA has multiple internal attempts to copy (badly) some of what Facebook does so there is some appreciation for the utility of these tools. Campos makes many good points. Indeed, I think Tim Campos and NASA CIO Linda Cureton need to have a serious chat during the lunch break. He says interesting things but NASA blocks access to his company's product. So how can his lessons be applied? Why can't NASA civil servants and contractors use Facebook (or Google+) or both? And please don't throw "firewall" or "ITAR" nonsense back at me in the comments section. If NASA can reprogram 30+ year old Voyager spacecraft outside our solar system surely they can figure out how to offer employees the same tools that the rest of the world uses. Working at NASA in 2011 is like driving a car that only has an AM radio - with only one speaker. Keith's clarification: While some people can clearly access (and interact with) Facebook and other social media sites from their desks at NASA others tell me that they cannot. Due to the retaliatory mindset at NASA I am not going to identify where these people are. Suffice it to say, there is no consistent, agency-wide policy as to what people inside NASA can or cannot access out in the real world. By Keith Cowing on August 16, 2011 11:49 AM. "A recent crew survey found that astronauts reported one area of spaceflight they found particularly enriching involved their perception of the Earth. The flip side to this finding is the implication that the lack of an Earth view may negatively impact crew psychological well being. To seek verification of this emotional tie to a view of our planet, my colleagues and I chose to examine available data from the Crew Earth Observations or CEO. The goal was to see if there was a correlation between crew photography and mental well being based on the frequency of self-initiated images vs. those mandated by scientific directives." By Keith Cowing on August 16, 2011 11:30 AM. By Keith Cowing on August 16, 2011 10:26 AM. "NASA/LaRC is hereby soliciting information about potential sources for a 1500 lbf liquid propellant rocket engine, herein referred to as a thruster. It must be able to operate from sea level to vacuum conditions without nozzle flow separation and is quick acting as well as fast pulsing. The Max Launch Abort System (MLAS) project is considering incorporating a conventional technology liquid attitude control subsystem (ACS) for coast flight stabilization and reorientation on Flight Test Vehicle (FTV) #2." Keith's note: Why is NASA continuing to develop an alternate launch escape system for Orion - one that it decided not to implement quite some time ago? By Keith Cowing on August 15, 2011 6:07 PM. "Over the last several months, SpaceX has been hard at work preparing for our next flight - a mission designed to demonstrate that a privately-developed space transportation system can deliver cargo to and from the International Space Station (ISS). NASA has given us a Nov. 30, 2011 launch date, which should be followed nine days later by Dragon berthing at the ISS. NASA has agreed in principle to allow SpaceX to combine all of the tests and demonstration activities that we originally proposed as two separate missions (COTS Demo 2 and COTS Demo 3) into a single mission. Furthermore, SpaceX plans to carry additional payloads aboard the Falcon 9's second stage which will deploy after Dragon separates and is well on its way to the ISS. NASA will grant formal approval for the combined COTS missions pending resolution of any potential risks associated with these secondary payloads. Our team continues to work closely with NASA to resolve all questions and concerns." By Keith Cowing on August 15, 2011 3:00 PM. "What could possibly make an already super cool robotics competition even better? The zero-gravity environment of space! NASA and DARPA, in cooperation with the Massachusetts Institute of Technology, TopCoder, and Aurora Flight Sciences, recently announced the Zero Robotics competition, an event open to all high schools in the United States that form a team and complete the application process. The Zero Robotics competition is a student software competition that takes the idea of a robotics competition to new heights--literally. The robots are basketball-sized satellites called SPHERES, and they look like something straight out of Star Wars. The competition is kicked off by a challenging problem conjured up by DARPA and NASA. After multiple rounds of simulation and ground competition, a final tournament will be held onboard the International Space Station! The 27 finalists will have their robotic programs run by an astronaut in the microgravity environment of space." By Keith Cowing on August 15, 2011 9:34 AM. "NASA Goddard Space Flight Center (GSFC) Innovative Partnership Program (IPP) and Earth Science Division will be hosting a Commercial Suborbital Vehicles Workshop at the GSFC on September 7, 2011. The purpose of the proposed workshop is to provide information for Earth and Space scientists about these vehicles capabilities, and to examine and discuss science topics that might be conducted from these platforms. Suborbital reusable launch vehicles could enable researchers to directly access the mesosphere, lower thermosphere (MLT) region of the atmosphere (50-140 km altitude), repeatedly, many times per day, at low-cost, and at very low velocities in many different environmental locations around the planet (no hypersonic shock)." By Marc Boucher on August 15, 2011 8:53 AM. Question: XCOR Aerospace, at 11 years old, is one of the first NewSpace companies and perhaps one of the longest survivors in this very challenging, emerging industry. How has your vision of the future and XCOR's role in it changed since you started the company? Continue reading Sneak Peak: Interview with Jeff Greason. By Keith Cowing on August 13, 2011 9:47 PM. "The latest round of NASA downsizing is threatening another 600 Huntsville jobs, officials said Thursday. How many will actually be laid off isn't clear, but is expected to be fewer than the number warned in accordance with federal law. U.S. Rep. Mo Brooks, R-Huntsville, said Friday that NASA leaders told Alabama lawmakers three weeks ago that upcoming layoffs would be in the 200-400 range. "Anything inconsistent with that, that's disappointing," Brooks said." "More than 1,000 workers at companies that worked on the space shuttle program will leave their jobs for good in August. While at least one major space shuttle contractor is laying off more employees than it projected in the lead up to last month's final space shuttle mission, at least two -- Houston-based United Space Alliance (USA) and Chicago-based Boeing -- will issue fewer pink slips in August than initially predicted." By Marc Boucher on August 12, 2011 5:43 PM. "The artifacts are not only from the shuttle era, but also from the Apollo, Mercury, Hubble Space Telescope programs. The approximately 2,000 items include: -- the Scott Carpenter Space Analog Station, an underwater habitat that was used to demonstrate space life support system ideas for use on space stations -- shuttle heat shield tiles used to test problems experienced during missions -- parts of Apollo and shuttle era spacesuits, including hard upper torso garments to protect astronauts from extreme temperatures." Marc's Note: You can also purchase your very own Shuttle Training Aircraft (STA). By Marc Boucher on August 12, 2011 5:29 PM. "NASA's four research centers -- Ames Research Center in Moffett Field, Calif; Dryden Flight Research Center in Edwards, Calif.; Glenn Research Center in Cleveland; Langley Research Center and the National Institute of Aerospace, both in Hampton Va. -- are co-hosting the event. It is modeled after the TED (Technology, Entertainment, Design) conferences that bring together visionaries in technology, entertainment and design to create a dialogue about important global challenges." By Marc Boucher on August 12, 2011 10:37 AM. "NASA has announced the creation of the Human Exploration and Operations (HEO) Mission Directorate. The new organization, which combines the Space Operations and Exploration Systems mission directorates, will focus on International Space Station operations and human exploration beyond low Earth orbit." Marc's Note: Hey, just when I was starting to like these acronyms, they're gone. Now with HEO we can get on with the next human mission beyond LEO to? An asteroid, the moon, maybe Phobos, how about Mars? By Marc Boucher on August 12, 2011 9:35 AM. "At a press conference on Thursday, August 11, Marvel officials explained that Plum Brook Station played an important role in bringing the film to Ohio. The officials said that NASA welcomed the business and wished that more Hollywood movies will be filmed at the site." SpaceX - Becoming a Market Leader? By Marc Boucher on August 12, 2011 8:11 AM. "While many beleaguered U.S. aerospace manufacturers are trimming back amid continuing uncertainty over the nation's long-term goals, California-based SpaceX is ramping up plans to become the world's largest producer of rocket engines in less than five years, manufacturing more units per year than any other single country." By Marc Boucher on August 12, 2011 8:10 AM. derived components, SSME etc., so use it. Marc's update: For those who've had problems downloading the letter from the Tea in Space site I've updated the link so you can download it from NASA Watch. Marc's update: My mistake, Keith had already posted the letter on August 2nd. By Marc Boucher on August 11, 2011 4:17 PM. "The Dawn spacecraft has completed a graceful spiral into the first of four planned science orbits during the spacecraft's yearlong visit to Vesta. The spacecraft started taking detailed observations on Aug. 11 at 9:13 a.m. PDT (12:13 a.m. EDT), which marks the official start of the first science-collecting orbit phase at Vesta, also known as the survey orbit." By Marc Boucher on August 11, 2011 2:55 PM. "Kennedy Space Center Director Robert Cabana said he is optimistic a deal will close soon to transfer control of a former shuttle hangar to Space Florida. He said that will clear up red tape, and enable what he described as "a commercial company" to move into the building known as Orbiter Processing Facility Bay 3, where it hopes to employ 500 to 600 people." Marc's Note: The commercial company is Boeing. By Marc Boucher on August 11, 2011 2:53 PM. "An unmanned hypersonic glider developed for U.S. defense research into super-fast global strike capability was launched atop a rocket early Thursday but contact was lost after the experimental craft began flying on its own, the Defense Advanced Research Projects Agency said." By Keith Cowing on August 11, 2011 11:21 AM. "Backlit by Earth's "day time" light, NASA astronaut Sandy Magnus, STS-135 mission specialist, gets one last visit to the Cupola onboard the International Space Station. on July 18, 2011." By Keith Cowing on August 11, 2011 10:42 AM. Photo: Space Shuttle Orbiters "Discovery" and "Endeavour"
Space Shuttle Orbiters "Discovery" and "Endeavour" at Kennedy Space Center this morning adjacent to the Vehicle Assembly Building. By Marc Boucher on August 11, 2011 7:59 AM. "NASA's first Future Forum of 2011 will bring together agency officials and local business, science and education leaders to discuss the agency's role in advancing innovation, technology, science, engineering, and education and NASA's benefit to the nation's economy. Rep. Donna F. Edwards will deliver opening remarks at 8 a.m. EDT on Thursday, Aug. 11, at the University of Maryland's Samuel Riggs IV Alumni Center in College Park." Marc's Note: Bolden will speak no earlier than 8:10 a.m. EDT. Marc's Update: Bolden took a break from his prepared remarks at the beginning of his speech to talk about the American capability for cargo resupply and that is what months, not years from bridging that gap. "That is a message that I have failed to get out, that is a message that we at NASA, that is the message that the American admin, that our, that the administration has failed to get out." ... "We're months away, not years, from an American capability to deliver cargo to the International Space Station." He was referring to the SpaceX demo flight scheduled for November 30 this year. He also brought up Orbital saying both companies would be bringing cargo to the ISS in 2012 and that after the SpaceX final demo in November SpaceX could be bringing their first cargo to station in February of 2012. By Marc Boucher on August 10, 2011 12:46 PM. "After a journey of almost three years, NASA's Mars Exploration Rover Opportunity has reached the Red Planet's Endeavour crater to study rocks never seen before. On Aug. 9, the golf cart-sized rover relayed its arrival at a location named Spirit Point on the crater's rim. Opportunity drove approximately 13 miles (21 kilometers) after climbing out of the Victoria crater." Marc's Note: Opportunity just keeps going and going and ... I wonder what discoveries she'll find at Endeavour crater. By Keith Cowing on August 10, 2011 10:20 AM. "NASA Inspector General Paul K. Martin today released an audit that found abuse in a NASA program that reimburses Agency employees for academic courses leading to undergraduate, graduate, and doctorate degrees. This Office of Inspector General (OIG) review concluded that NASA's decentralized management structure, coupled with a lack of strong internal controls, resulted in more than $1 million in questionable tuition payments to employees. Federal law prohibits NASA from funding academic degrees for civil service employees except through planned employee development programs that meet an identified training need, resolve a staffing problem, or accomplish the Agency's strategic goals. However, the OIG found that NASA routinely paid significant amounts of money to reimburse employees for academic courses taken outside its formal degree programs." By Marc Boucher on August 10, 2011 8:32 AM. "NASA faces an uphill battle for funding in Congress unless it clarifies vague exploration plans, U.S. Rep. Bill Posey said Tuesday. Absent a clear mission, human spaceflight, I'm afraid, will be very vulnerable, he said. Out of sight, out of mind." By Marc Boucher on August 9, 2011 3:33 PM. "NASA has selected seven companies to integrate and fly technology payloads on commercial suborbital reusable platforms that carry payloads near the boundary of space. As part of NASA's Flight Opportunities Program, each successful vendor will receive an indefinite-delivery, indefinite-quantity contract. These two-year contracts, worth a combined total of $10 million, will allow NASA to draw from a pool of commercial space companies to deliver payload integration and flight services. The flights will carry a variety of payloads to help meet the agency's research and technology needs." Continue reading Suborbital Payload Companies Selected. By Marc Boucher on August 9, 2011 3:05 PM. "One aspect of long-duration spaceflight you may not have considered is the experience of isolation that can impact the psychological well being of crewmembers. Those lucky enough to experience interplanetary travel will be cut off from their families, homes, and even their planet. As the explorers travel, even the comfortingly familiar green and blue globe of Earth will resemble a feint blue dot." Mary Lynne Dittmar Asks - Where are we, and how did we get here? By Marc Boucher on August 9, 2011 12:36 PM. "In 2007, I published an article in The Space Review titled "Sustaining Exploration: Communications, Relevance, and Value" that described NASA as a value delivery system (VDS). In it I made a case for re-alignment of the agency and its activities by means of a "value discovery process". (The reader is directed to the previous paper for an explanation of value systems as applied to NASA and links to reference material.) The article identified some issues driving resistance to change within the agency and warned of the possibility of "organizational obsolescence" if NASA continued to hold tight to past successes as a raison d'tre for activities in the present and future." By Marc Boucher on August 9, 2011 11:50 AM. "Scientists have detected the building blocks of DNA in meteorites since the 1960s, but were unsure whether they were created in space or resulted from contamination by terrestrial life. The latest research indicates certain nucleobases -- the building blocks of our genetic material -- reach the Earth on meteorites in greater diversity and quantity than previously thought." By Marc Boucher on August 9, 2011 9:08 AM. "The Cassini app was designed to give an overview of the spacecraft's current activities, starting with the latest dramatic images. These images range from sublime insights into another 'set of worlds,' considering the moon Titan itself has been called the most earth-like body in our solar system. Also included in the app is the 'Present Position' of the spacecraft, as well as a countdown to the next major event - usually a spectacular targeted flyby of one of Saturn's moons. At each stage, more in-depth information is only a click away." Marc's Note: By my reckoning this is the 13th app that NASA has released which is pretty darn good although you won't find it in the official NASA apps page (yet). Maybe that's because JPL/Caltech released it (in late July). It's a pretty slick app but only available on the iPhone. That's a pity as I use an Android smartphone. By Marc Boucher on August 8, 2011 5:43 PM. Marc's Note: Great video by United Launch Alliance (YouTube) of the Atlas V launch with Juno aboard. By Marc Boucher on August 8, 2011 4:16 PM. By Marc Boucher on August 8, 2011 2:06 PM. "NASA has selected 30 proposals for funding under the NASA Innovative Advanced Concepts, or NIAC, program. The advanced concepts selected for study under NIAC were chosen based on their potential to transform our future space missions, enable new capabilities or significantly alter current approaches to launching, building and operating space systems." Continue reading NIAC Lives - Announces Funding for new Studies. By Marc Boucher on August 8, 2011 12:10 PM. "NASA's modified Boeing 747 Shuttle Carrier Aircraft briefly flew in formation over the Edwards Air Force Base Test Range on Aug. 2, 2011. The aircraft were scheduled to be in the air on the same day, NASA 911 (plane in the foreground) on a flight crew proficiency flight, and NASA 905 (rear) on a functional check flight following maintenance operations." By Keith Cowing on August 8, 2011 10:32 AM. "Nearly 300 more aerospace jobs are threatened in Huntsville as Marshall Space Flight Center moves to what its director calls "a smaller, leaner center." Jacobs Technology ESTS group notified 281 workers in writing last week that their jobs could end on or before Oct. 1, the beginning of the federal government's new 2012 fiscal year. Jacobs has been Marshall's primary support contractor for engineering, science and technical services since 1989." By Marc Boucher on August 8, 2011 8:08 AM. Marc's Note: SpaceRef offers institutional pricing to organizations who would like the digital edition of Space Quarterly magazine for their internal digital libraries. Complete our request form for a quote that suits your organizations needs. By Keith Cowing on August 7, 2011 2:42 PM. Keith's note: I do not think suicide is funny - under any circumstance. Yet this photo essay makes a point - and it uses a powerful iconic image of an anonymous person in a spacesuit in an exaggerated fashion to make that point. A lot of people are rather depressed and demoralized right now with the retirement of the Space Shuttle. Entire careers have come to an abrupt end. Yet some people (including the media) have gone overboard and are waving their arms around as if NASA itself is going to disappear - and that it is deliberatley doing this to itself. Some people see humor in this photo collection. I see sadness - sadness bordering on bad taste. Suicides are often a cry for help. Slide the bar under the image to scroll through the image collection and see for yourself. Maybe someone could come up with a more inspiring version of this photo essay - one that points to the future ahead? By Keith Cowing on August 6, 2011 3:54 PM. "Based on the overwhelming success of and participation with the NASA@Work pilot program, NASA is pleased to announce the official agencywide re-launch of the NASA@Work collaborative program. NASA@Work is an internal collaboration platform that connects the collective knowledge of individual experts from all areas within the NASA organization via a private web-based environment supported by InnoCentive. The platform provides a venue for Challenge Owners, those looking for solutions or new ideas, to pose challenges to internal Solvers, those within NASA with the skill and desire to create enlightened solutions. The Solvers who deliver the best innovative ideas can win awards and will be recognized for their contributions at the 2012 NASA Project Management (PM) Challenge." By Keith Cowing on August 6, 2011 11:04 AM. "Army pilot Harry, 26, is a closet Star Trek fan and "obsessed with space", according to friends. They say he has already asked Sir Richard Branson's son Sam for a seat on one of the first Virgin Galactic sub-orbital flights. But he hopes to become an honorary member of the elite US space programme after returning from Afghanistan next year." SLS: A Rarely Flown Rocket to Nowhere? By Keith Cowing on August 5, 2011 10:06 PM. "The rocket and capsule that NASA is proposing to return astronauts to the moon would fly just twice in the next 10 years and cost as much as $38 billion, according to internal NASA documents obtained by the Orlando Sentinel. The money would pay for a new heavy-lift rocket and Apollo-like crew capsule that eventually could take astronauts to the moon and beyond. But it would not be enough to pay for a lunar landing -- or for more than one manned test flight, in 2021. That timeline and price tag could pose serious problems for supporters of the new spacecraft, which is being built from recycled parts of the shuttle and the now-defunct Constellation moon program. It effectively means that it will take the U.S. manned-space program more than 50 years -- if ever -- to duplicate its 1969 landing on the moon. That is certain to infuriate NASA supporters in Congress, who last year ordered NASA to build a new heavy-lift rocket by December 2016 -- a deadline the agency says it can't meet." By Keith Cowing on August 5, 2011 6:24 PM. "NOAA Region 1261, very active over the past few days, produced the third of a sequence of Coronal Mass Ejections (CMEs) and Solar Radio Blackout Events early today. The net effect of that activity is convergent CMEs expected to disturb the geomagnetic field in the early hours, Universal Time (UTC) of August 5. G3 (Strong) Geomagnetic Storm conditions are likely as well as a distinct chance of S2 (Moderate) Solar Radiation Storm levels being surpassed. NOAA 1261 is still in a prime position, relative to Earth, for more geoeffective activity in the next few days." NOAA Scale: G3 or greater - Strong to Extreme"
"IIB. Geophysical Activity Forecast: The geomagnetic field is expected to reach minor to major storm levels with a chance for severe storm periods on 06 August. Heightened activity is expected due to continued effects from the CMEs of 02, 03, and 04 August. Activity is expected to decrease to unsettled to active levels on 07 August. Quiet to unsettled conditions are expected on 08 August." 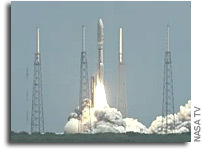 Marc's Note: Follow SpaceRef's SpaceWeather Twitter account for updates (http://twitter.com/SpaceWeather). By Keith Cowing on August 5, 2011 12:32 PM. Juno has left Earth and is on a 5 year cruise to Jupiter. It will arrive in Jovian space in July 2016. Juno will orbit Jupiter for about one year. Juno will study how much water is in Jupiter's atmosphere; look deep into Jupiter's atmosphere to measure composition, temperature, cloud motions and other properties; map Jupiter's magnetic and gravity fields, revealing the planet's deep structure; and study Jupiter's magnetosphere near the planet's poles, especially the auroras - Jupiter's northern and southern lights - providing new insights about how the planet's enormous magnetic force field affects its atmosphere. By Keith Cowing on August 4, 2011 2:20 PM. "Observations from NASA's Mars Reconnaissance Orbiter have revealed possible flowing water during the warmest months on Mars. "NASA's Mars Exploration Program keeps bringing us closer to determining whether the Red Planet could harbor life in some form," NASA Administrator Charles Bolden said, "and it reaffirms Mars as an important future destination for human exploration." Dark, finger-like features appear and extend down some Martian slopes during late spring through summer, fade in winter, and return during the next spring. Repeated observations have tracked the seasonal changes in these recurring features on several steep slopes in the middle latitudes of Mars' southern hemisphere." By Keith Cowing on August 4, 2011 11:54 AM. "Boeing will announce the selection of its rocket for the Crew Space Transportation (CST)-100 on Thursday, August 4 at noon Eastern Time (11 a.m. Central Time, 9 a.m. Pacific Time). John Elbon, vice president and program manager of Boeing's Commercial Crew Programs will host the call, and he will be joined by a senior representative of the rocket company. They will make brief opening remarks and go into a question and answer portion. Three test flights will be flown with this rocket in 2015. With sufficient funding and selection for a development contract, Boeing expects to provide an operational capability to transport crews to and from the International Space Station in 2015." Keith's note: Boeing has picked the Lockheed Martin Atlas V which is currently marketed by the Boeing/Lockheed Martin joint venture United Launch Alliance. Boeing's CST-100 crew spacecraft will be launched on an Atlas 5 - 412. "The Boeing Company [NYSE: BA] today announced it has selected the United Launch Alliance (ULA) Atlas V rocket to launch the Boeing Crew Space Transportation (CST)-100 spacecraft from Florida's Space Coast." By Keith Cowing on August 4, 2011 11:08 AM. "NASA Inspector General Paul K. Martin today released a report examining the accuracy of the primary database NASA uses to evaluate its extensive real property assets. NASA owns approximately 5,000 buildings and structures such as wind tunnels, laboratories, launch pads, and test stands valued at more than $26.4 billion. However, 80 percent of NASA's facilities are 40 or more years old and many are in degraded condition. Given the extent and age of NASA's facilities, it is imperative that NASA managers have reliable data with which to manage these assets." By Keith Cowing on August 4, 2011 10:47 AM. "We've just added a link on our site to this page from AURA which has a collection of statements of support for JWST: bit.ly/okj0Cr"
By Keith Cowing on August 4, 2011 10:43 AM. "This week the NASA Advisory Council (NAC) and its various committees are meeting. This body is federally chartered to formally advise NASA - yet the public knows little - if anything about what this committee does. By law the public is supposed to be informed of these meetings, allowed to attend, and offered means whereby they can present their views to the committee. By law, these meetings are announced in the Federal Register. But unless you are a policy wonk, you are not likely to read these notices. That is why I post them on NASA Watch (look to the calendar) and on SpaceRef. Alas, beyond the formal notification process, NASA does not lift a finger to make certain that the public is aware of these activities and the means whereby the public is supposed to be encouraged to participate. NASA's NAC staff and PAO have done a pitiful job informing the public of these meetings." Keith's 3 Aug note: The NASA Advisory Council is meeting on Thursday and Friday. Charlie Bolden will be there. The meeting will be available to the public on WebEx and via telecon (info). Given NASA's previous shyness/ambivalence with regard to encouraging public appreciation of - and participation with - the NAC, you can expect continued silence from the NAC and PAO. Imagine the visibility that the NAC - and the topics it wil be discussing - would get if NASA used its Twitter account to reach its 1.3 million followers. Imagine also if NASA used one of its 4 TV channels to webcast the meeting. 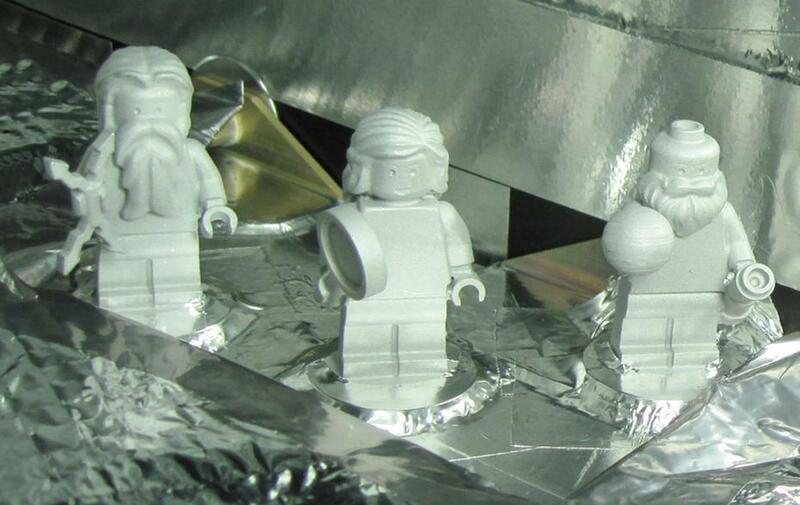 Alas, NASA PAO is focusing today on sending LEGO dolls to Jupiter. Keith's 4 Aug update: Interestingly, unlike nasa.gov, the open.nasa.gov folks are paying attention to the interests of the public and are letting their readers know that there is a NAC meeting - and how to participate. Well done! By Keith Cowing on August 4, 2011 10:42 AM. Reader note: Read the following on the Direct TV web site regarding NASA TV. So they now want to charge $10.00 extra but not deliver HD. "Is NASA TV still available on DIRECTV? Yes, DIRECTV will still offer NASA TV on Channel 289. However, starting August 3, 2011, NASA TV will only be available to customers who have DIRECTV HD equipment and are subscribed to HD Access ($10/month). But please note: NASA TV will remain a standard definition channel. Upgrade to HD online or call us at 1-800-531-5000." By Keith Cowing on August 4, 2011 12:31 AM. Keith's note 22 June 2011: "We are discovering more Earth-like planets every day, so now is more critical than ever to look for extraterrestrial life. A contribution from you, today, will fund telescope scans for signs of intelligence beyond our solar system. Please donate and help us find intelligent life out there. At the SETI Institute, we've made a name for ourselves exploring space. But it's our community here on Earth--passionate, science-minded and creative--that truly defines us. That's why we're launching SETIstars, an initiative to connect us more closely than ever with the constellation of visionaries and supporters that make our work possible." Keith's note 4 August 2011: " 2181 STARS - $202,299 OUT OF $200,000 - 101%"
By Keith Cowing on August 3, 2011 10:39 PM. Maker Camp is an effort stemming from the burgeoning NASA Forward group targeted at engaging the work force in fast, hyper-local projects that advance NASA's mission and vision. Based on the "Maker" culture, the concept is to gather interested individuals and go about creating something new. Several centers have already conducted their Maker Camps, focusing on 2 to 3 activities ranging from physical creations to process improvements. "Do you like to build, tinker and try new things? Do you wish some days that you could just get your hands dirty and create something? Maker Camp is an internal pilot project focused on creating a culture of experimentation by offering individuals the chance to collaborate on quick, innovative projects that are good for the center and the agency. JSC will connect remotely and work collaboratively with teams at ARC to see what we can do together in a short, focused period of time." "Inside one of the high bays overlooking the former home of the WETF is a work area available to everyone at the center. The decor is simple and functional: whiteboard tables, colorful rolling chairs, mobile desks and whiteboard walls. Have an idea? Write it on the table or a wall. Share it on a screen. Need a bit of privacy? Go to the neighboring room ("the fishbowl") and work there." By Marc Boucher on August 3, 2011 11:51 AM. "SpaceRef, a provider of new media services since 1999, announced today that it was launching its first magazine, Space Quarterly, in both digital and print format. Space Quarterly will be published in two editions: a U.S. edition with an international section and a Canadian edition. To complement Space Quarterly, SpaceRef will also launch a new online service, the SpaceRef Forum, where readers can participate in ongoing discussions on topics covered by the magazine including commercial space, space policy, military space and other timely topics. Both new products will be available September 1, 2011." Marc's Note: I'm excited to announce these two new products today. We've been working hard on the magazine for many months and hope you'll like it as much as we do. As well many of you have expressed an interest in having SpaceRef/NASA Watch create an online Forum. We'll we've listened and come September 1 we'll be launching it. You can now subscribe to Space Quarterly here. By Keith Cowing on August 2, 2011 3:12 PM. Joint Statement of Space Exploration Technologies Corp. and Valador Inc.
"Since SpaceX filed its lawsuit (captioned Space Exploration Technologies Corp. v. Valador, Inc. and Joseph Fragola, Civil Action No. 2011-08756, Circuit Court of Fairfax County, Virginia), the Parties have been working collaboratively to resolve the matter. Regarding the underlying facts, Dr. Fragola investigated a rumor regarding the performance of the Falcon 9 launch vehicle during its most recent launch. 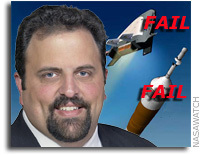 Through email communications with both NASA and SpaceX on June 8, 2011, Dr. Fragola confirmed that the rumor was false in that no Falcon 9 engines failed and the first stage did not explode. There was independent NASA tracking and video of the flight, and subsequent debriefing with NASA, indicating no such failures or explosions." By Keith Cowing on August 2, 2011 11:04 AM. "As you know, the final design of the SLS is long overdue. This is perplexing since the parameters for the final design are clearly articulated in the Authorization and Appropriations Acts. The Authorization Act clearly states the SLS "shall be designed from inception as a fully integrated vehicle capable of carrying a total payload of 130 tons or more..." The Appropriations Act reinforced this requirement by stating "the heavy lift launch vehicle system... shall have a lift capability not less than 130 tons." Both statutory texts were carefully crafted and agreed upon after consultation with rocket propulsion experts who unanimously concluded these design specifications were required to ensure a meaningful spaceflight program. These same experts also determined these legal requirements could only be realistically met through the use of solid rocket motors." Keith's note: this letter is being circulated around Capitol Hill in search of additional signatures. Senate sources link this directly back to the Utah congressional delegation. By Keith Cowing on August 2, 2011 9:03 AM. Keith's note: On Tuesday at 3:15 pm EDT President Obama will meet with the crew of the Space Shuttle Endeavour and the Commander of ISS Expedition 26. By Marc Boucher on August 1, 2011 3:01 PM. Marc's Note: Today SpaceX CEO Elon Musk and President Gwynne Shotwell are speaking at the AIAA 47th Joint Propulsion Conference. At 4:00 PM EST/1:00 PM PST, Elon Musk will discuss "Getting to Mars"
If you miss them live, AIAA says videos may be available for a limited time in the on-demand section at Livestream, then later at www.aiaa.org and/or the AIAA YouTube channel www.youtube.com/wwwAIAAorg. By Marc Boucher on August 1, 2011 2:56 PM. "NASA's Dawn spacecraft, the first ever to orbit an object in the main asteroid belt, is spiraling towards its first of four intensive science orbits. That initial orbit of the rocky world Vesta begins Aug. 11, at an altitude of nearly 1,700 miles (2,700 kilometers) and will provide in-depth analysis of the asteroid. Vesta is the brightest object in the asteroid belt as seen from Earth and is thought to be the source of a large number of meteorites that fall to Earth."